The unwavering commitment to honesty, integrity and ethics anchor the core of a value system that launched Roemer Insurance continues to serve as our business philosophy today. Upon this foundation of trust, we've built an excellent reputation in our community and are grateful for the clients we are privileged to serve. Needless to say, with 80 years in business, this family has learned a few things – like the importance of tending to clients, employees and community. Roemer Insurance takes care of clients by maintaining strong communication with an obsessive focus on customer service. When you call us, you get a person. That person will know what they're talking about. They will drop everything to help you. 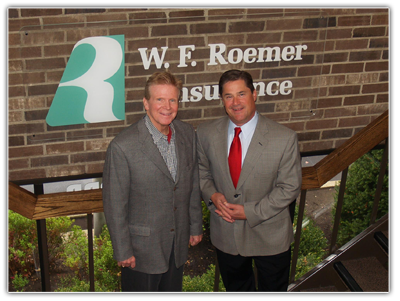 Roemer Insurance prides itself on our client retention. Over the past 20 years Roemer has enjoyed 98% client retention. Roemer Insurance offers plenty of expertise for truckers, one of its specialties from the start. Among its offerings is liability insurance for long-haul truckers in the Midwest. 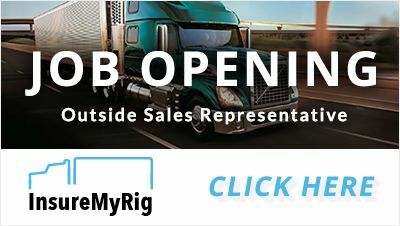 In addition, its independent contractor owner/operator brand, Insure My Rig, is a purveyor of insurance to truckers all over the country who own their own units and are leased on to motor carriers. The company's focus on staff is just as strong. With only 35 employees, Rocky makes a significant investment in the employees' well-being. Stress-relieving massage days at work, discounts with health clubs and an on-site gym are only a few of the wellness benefits employees receive. The company is always looking to add more to its team. The Roemer mission is to deliver outstanding service to our clients on a daily basis while sharing our good fortune with those in the community who may need a hand. We are grateful for the opportunity to have served our neighbors for nearly 80 years and we believe it is our duty to continue to lead by example. Employees work regularly with organizations like The Rotary Club of Toledo, The Victory Center in Toledo, YMCA and The Ohio State University Alumni Association. The company also just recently endowed a scholarship at Lourdes University. It is our fervent hope that we might inspire our clients, competitors and fellow citizens to do the same – providing future opportunities for our children and grandchildren to prosper in this Northwest Ohio community we enjoy so much. We are excited to announce that Roemer Insurance has joined AssuredPartners as of September 2018! With the resources of a large firm combined with the services of the local Toledo office, we are confident this change will bring new products and services for you to evaluate with the same commitment to Best in Class service that you have come to expect. As a valued client, you will benefit from the expertise of your current team, backed by the support of AssurePartners.